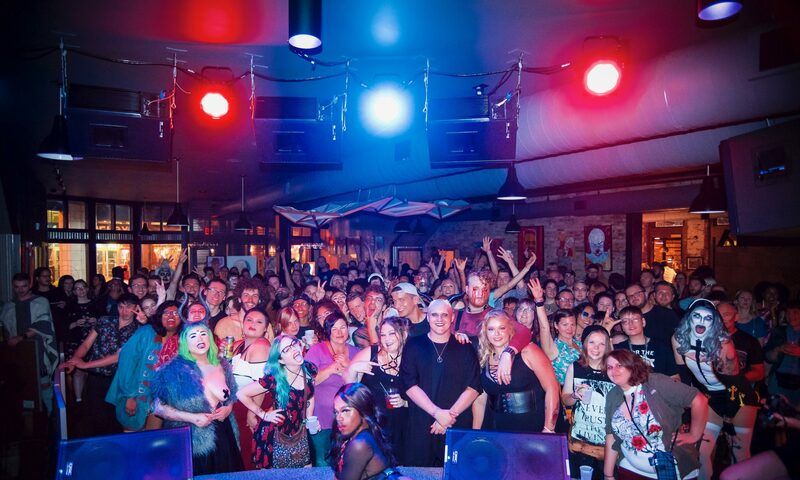 Low Pone is a dance/drag night designed to celebrate our community in Indianapolis. Upon multiple closures of LGBTQ+ establishments and years of segregation between men, women, and those in between, Low Pone is a meeting place where we are free to be joyful in ourselves and each other. We strive to celebrate queer existence by showing the life and vibrancy that comes from a reclamation of our collective identity. Now that we are approaching two years of holding this party, we are truly getting momentum. We are the most sustained LGBTQ+ event in the city that happens regularly, or outside of a dedicated LGBTQ+ establishment. We bring national acts to our stage while keeping the cost for the audience minimal, via sponsorship, so that everyone can afford to have a great time. We have an in-house DJ, two monthly hosts, and two/three visiting entertainers integrating drag, performance art and live music.